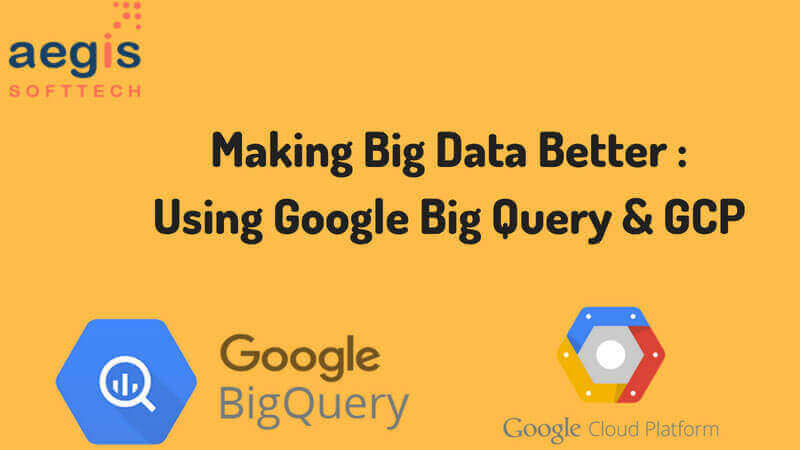 How to Use Google BigQuery & GCP in making Big Data Better? Google BigQuery is in trend these days. So why this hype and what makes it better than its competition. What is GCP? What is the relation between BigQuery and GCP. What are Issues related to both? If you are the one who wants to get answer of above questions then read below. In this blog we will quickly talk high level understanding on what is Google BigQuery and GCP and also will discuss one of the Use Case/Issue related to it. We can create our own project or modify an already existing project through this dashboard. As you can see there are many other options in left corner wherein we can go ahead and make modifications to our already existing GCP Project. Everyone who has to work on BigQuery has to first create a project in this dashboard and then only can work on BigQuery. This is a free to use web URL for a specific period of time, you can always go to the below link to quickly sign up for a free trial, just login through your Gmail id and start creating your GCP projects and do some hands on to get a fair idea on how GCP works. Now Google BigQuery is a data warehouse where we can keep huge amount of data and can easily fetch it from simple SQL queries. Its uniqueness is in its super-fast data retrieval and as it’s completely managed we don’t have to take care of anything, everything is managed by bigquery itself. It uses the processing power of Google’s infrastructure. Best part is we can even control access to both project and data e.g. providing others ability to view or query our data. We need to first have a project, databases and tables to query data. This dataset can be created or can be imported from other relational databases or even Hadoop. BigQuery is much faster than map reducing or spark in Hadoop. It is recommended to create a test directory before and then check this. NOTE:- Above path need to be changed according to your directory setup. After this setup we will be able to use Google BigQuery and will be able to load and fetch data. As per my analysis compared to MySQL, BigQuery retrieved data 3 times faster with no other downsides. In one particular BigQuery use case we have imported data to BigQuery from Hadoop using a python script and then query this data. Data retrieval was super-fast compared to Hadoop. We were using spark in Hadoop before migrating to BigQuery. We had to install Google Connector software for this project before starting to query the data. Moreover we can also directly query data from Hadoop but we saw that this took longer time to query data and was not feasible hence we imported data to BigQuery then Query the data. In case if we query our data a lot then BigQuery can end up being very expensive as it also charges per data processed on a query. We have to pay for each query we make hence in long run it can be a costly deal compared to other solutions. Hope you enjoying reading this article, this article uploaded by our senior team member of Big Data Developers, Aegis soft tech provide big data consulting services to resolve your big data, GCP and BigQuery related issues and get best out from your data. We will talk about other GCP and Google BigQuery Issues in another BLOG, Happy Reading!